Is your membership growth as stagnant as a pond? Do you wonder how some organizations are able to grow so much in so little time? Wouldn’t you love to know their recipes for success? While conducting some analysis on our client database, I noticed one of our clients, Connecting for Kids, stood out. If the data was right, this organization grew over 300% in the last three years. Not only this, but their revenue was up over 700% and to top it all off, their event registration was showing over 6,000% growth! I could hardly believe what I was seeing. 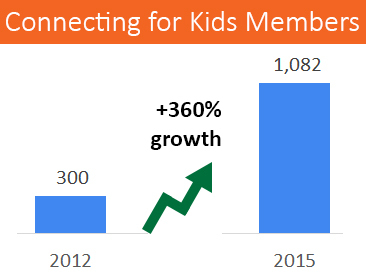 Yes, you’re reading that correctly, all this phenomenal growth in just 3 years! Wouldn’t it be amazing if your organization experienced the same kind of growth? 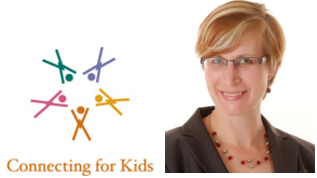 I immediately got in touch with Sarah Rintamaki, Founder and Executive Director of Connecting for Kids, to understand how they’d grown so much in so little time. In our interview, Sarah shed light into how her organization grew so quickly and agreed to share her strategies with other organizations looking to grow too. Find Out Sarah's Recipe For Success! Reading this study can make Sarah's success your success too! To help you do this, I’ve created simple exercises within the study to get you thinking about how Sarah’s strategies can apply to you. I've also made a downloadable worksheet, which will help you complete all the exercises. Once finished, your worksheet will be your guide to kick-starting phenomenal growth for your organization. And don’t forget to download the worksheet, which will help guide you through the exercises.